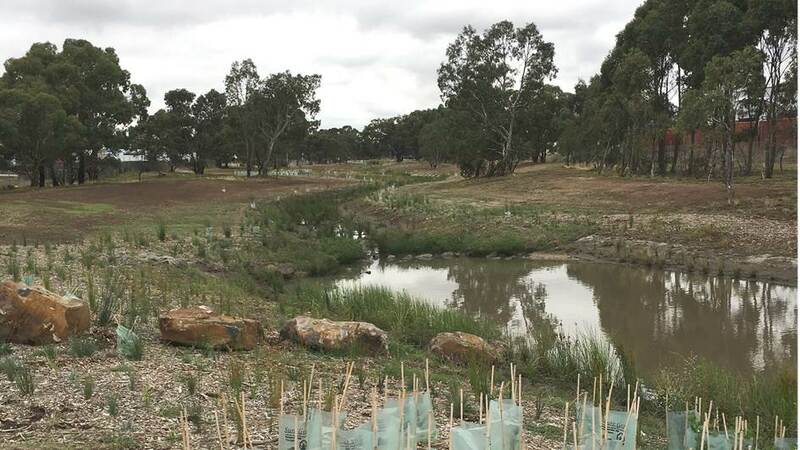 Ryan’s Creek now provides an enhanced open space with improved social and environmental benefits. 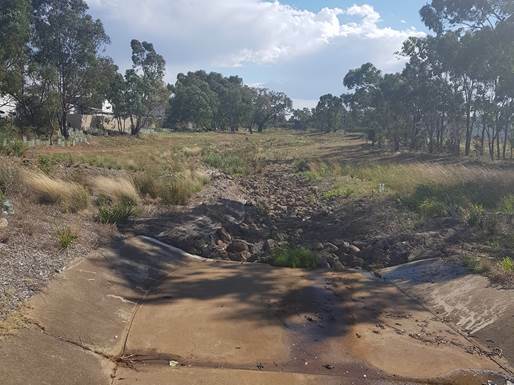 In collaboration with Melton City Council, Melbourne Water and community representatives, ENGENY began work to rehabilitate a section of Ryan’s Creek Melton in April 2016. The creek looked like a manicured open space with a narrow, concrete-lined channel and stormwater drains flowing into it. 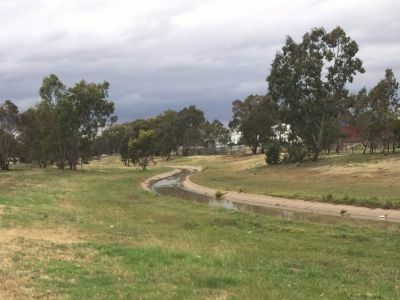 There had been ongoing concerns about water quality and the build-up of sediment in the creek – and its poor visual amenity. 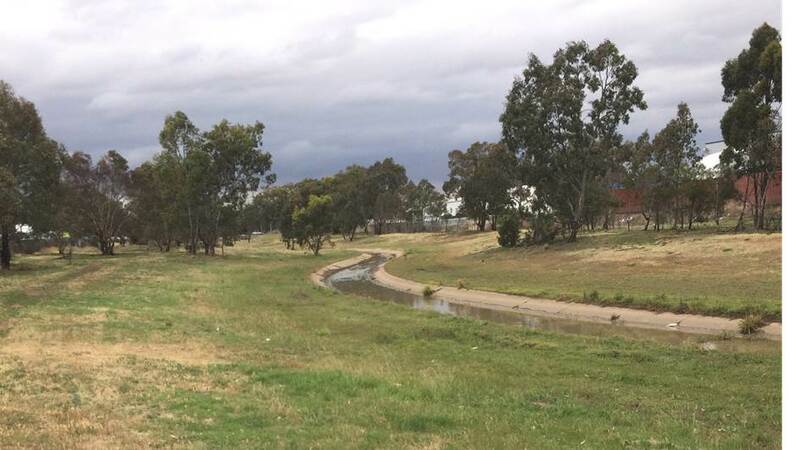 Completed in September 2016, the creek has a more natural appearance and its flood management capacity has been maintained. 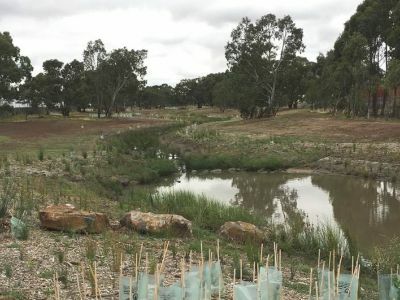 The concrete was removed, the surrounding area was re-vegetated with native species, and water can be harvested for use at the Melton Botanic Gardens. 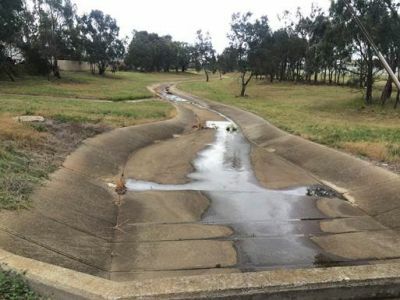 Images provided by ENGENY Water Management Pty Ltd.